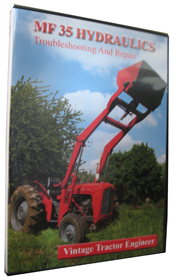 Want to check out our tractor maintenance videos? Click here to see what we've got! I have an mf 35 and just recently the lift will pick up and work for about 45 mi’s then it goes down and won’t work again until it cools off. Any ideas on what the problem might be? Your help would be greatly appreciated. Obviosusly it is some kind of leak or inefficiency in the system that is becoming apparent when the oil is warm and has become non-viscous and thin enough to pass through/by the worn part. It could be one of several things – worn pistons/cylinders, worn valves, worn control valve, worn rings on the hydraulic ram, wear in the lift cylinder or a leak somewhere in the system. So where to start looking? Well the leak/wear must be considerable if the linkage won’t lift at all when the oil is warm. If you take the side cover off (right hand side of transmission housing under the seat) and run the tractor (DON’T PUT YOUR HANDS INSIDE WHILE THE TRACTOR IS RUNNING), put the position control lever to UP. Look inside for any obvious leaks – particularly the stand pipe or lift cylinder. If there is a leak then you will be able to see it (if the lift won’t raise at all). If there is no leak then I would remove the top cover (the large piece under the seat) and remove the pump. It is possible that there is problem with the relief valve (can be replaced through the side cover without removing the pump), but more likely it will be the control vavle which will need replacing , or the pump components, or the vavles (in that order I would suggest). The method for assessing these components is shown on our Hydraulics DVD. A full repair kit isn’t too expensive if you don’t want to go through the process of replacing individual components, putting the whole thing back together and then finding that you have to start over again as you have replaced the wrong part! One thing we have found over the years is that the aftermarket control valves (and relief valves) have rarely been manufactured to the required standard. The control valve is an extremely precision component as it needs to be both oil tight yet also facilitate movement along its washers. 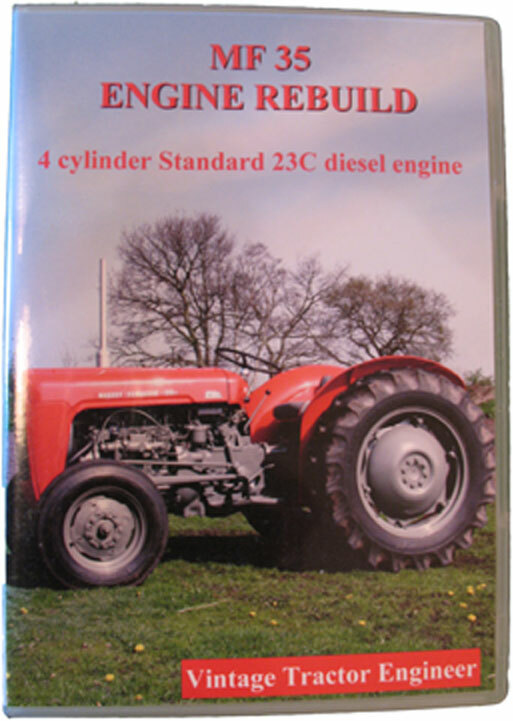 Therefore, a genuine Massey Ferguson control valve is always worth the little bit of extra money. I have a problem with hydraulics, my lift arms work fine, but my hand valve doesn’t work at all. I took the hand valve off and started the tractor, no fluid came to the hand valve. Any ideas? Thanks in advance. have a 270 massey fer. lift arm is working real slow takes 30 min. to move or down ..any ideas what this can be. Joe, Some tractos only have a single stage clutch, so when the pedal is depressed it will stop the drive to the hydrualic pump – so this is normal. You say the lift is slow. Are your syptoms like those of Euan’s, if so then the answer below is relevant to you. Euan, Basically if it gets worse as the oil warms up then the hydraulic fluid is leaking somewhere. It could be past a slightly damged o’ring on the stand pipe, or past the rings on the lift cylinder or it could be general wear in the hydraulic pump components. The lift on my MF 35 won’t bring up the arms, I have it all taken apart now and not sure where to start? I have a problem in the hidraulic system. They have already been repaired but the problem continue. That lift normally but, when i low that i need to put some weight or jump on it to low that. when the hidraulics system is a bit charged with logs or a plough that noise a lot and when i’m ploughing the hidraulics are constantly moving up and down. People told me that can be the control valve, maybe its to tight. What do you suggest to my problem, i really need you help. If you know that’s is the problem can you explain in detail, al the process since the the dismount up to the repair and the mount of the hidraulics system, because i´m not understand the hidraulics system. My problem is that my Massey Ferguson Hydrolic Lift will not go down with lever. It will leak down overnight but cannot be put down using the controls. What do you suggest is the problem? The easy way to check for trouble is as follows. Purchase one or two Hydrolic pressure gauges, their about 15-30 dollars, with a “T” fitting. Recommend a guage that is good up to 5K or 6K pounds. Mount the gauge on the T fitting and put it in line. Start after the pump on the pump output side, or where the pump output hose goes into the control valve. If you have pressure there, its not the pump. Then move gauge to after the Control valve on one of the lines going to the bucket lift arms. Test there with the control valve in the raise position. 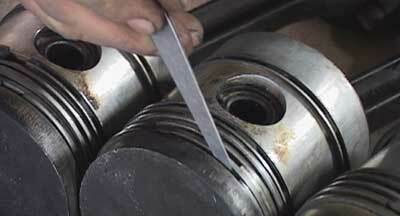 If no pressure there, then it is ether the Control valve, or your cylinder “O” rings are bad. You can take the lift cyl off and take them to a rebuild center, and they can test them for you right there. I have a problem on my MF35 where the rear hydraulics system works ok but the lift system doesnt? what kind of oil i need to put if i want to change it.Thank you for you reply.Do you think it the oil the problem? Yes we mail to the US. We charge the same postage rate to anywhere in the world, and we do a NTSC disc (US format). I believe my pump is the problem and needs replacing. I flushed all the oil from the system and replaced it, but that didn’t help at all. I would like to get your video. Do you mail to the United States? Massey Ferguson Hydrolic Lift will not go down with lever. Push in two speed clutch, it will go down. Let clutch out regardless of lever position lift goes up. Any Advise?? WE had the same problem with our Massey 35. After several rebuilds of the hydrallic pump – acouple of times by us and once by the dealer – we discovered the valve body for the controls _ the handles between your legs _ had begun to wear out. Either rebuilding the valve body or replacing it will cure the problem.